The PS4 Pro hasn't even been out a month, but Amazon is slashing 15% off of its retail price for Cyber Monday 2016. That makes it just $339.99, the best price we've seen for the console, and likely the best we'll see in awhile. View deal: PS4 Pro 1TB now $339.99 at Amazon. 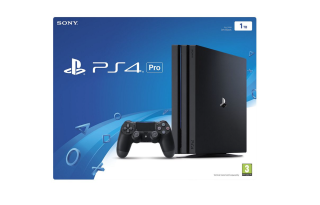 That's a savings of $60, allowing you to effectively create a PS4 Pro bundle with your choice of game for the same money as the system itself. I'd suggest you hurry though, because there's no way this is gonna last. Don't forget to check out the rest of our constantly updated Cyber Monday gaming deals.